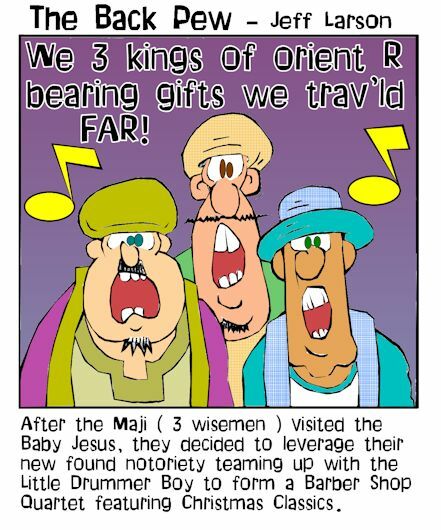 ​​This plan was both original and ingenious! 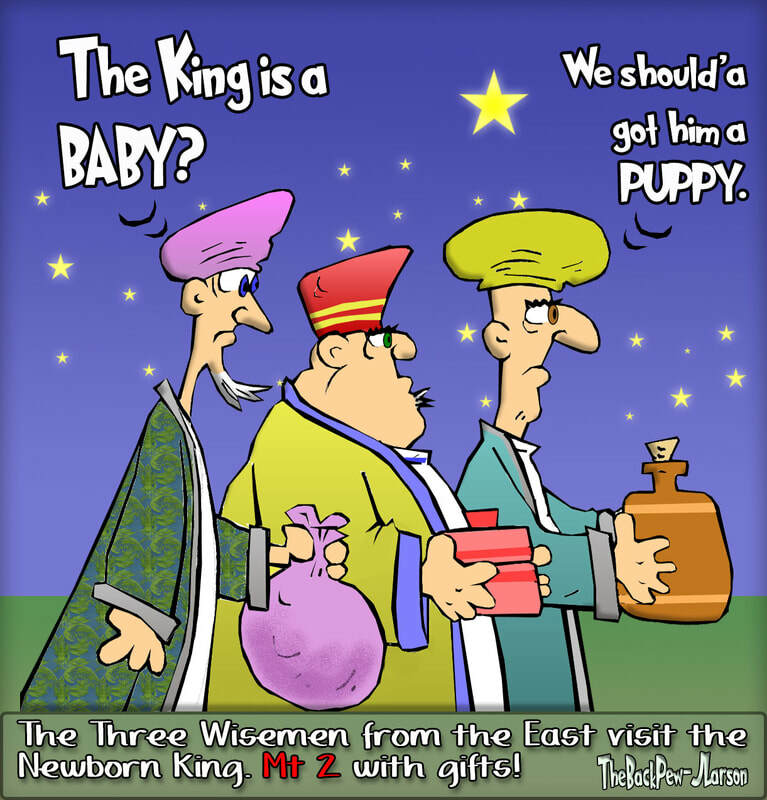 So Mary & Joseph travel to Bethlehem arriving that first Christmas night, but there was no room at the Inn, so Jesus would be born in a manger. 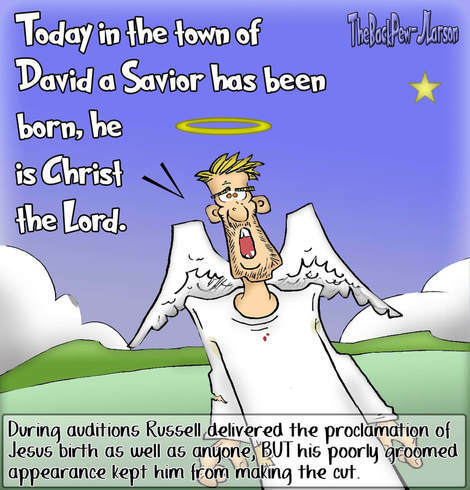 His birth was announced by Heavenly Angels (white collar) to smelly (truly blue collar) shepherds. 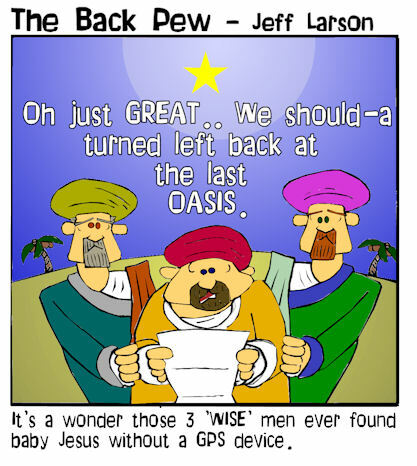 On this truly Holy Night our Christmas Odd Couple rubbed elbows together. 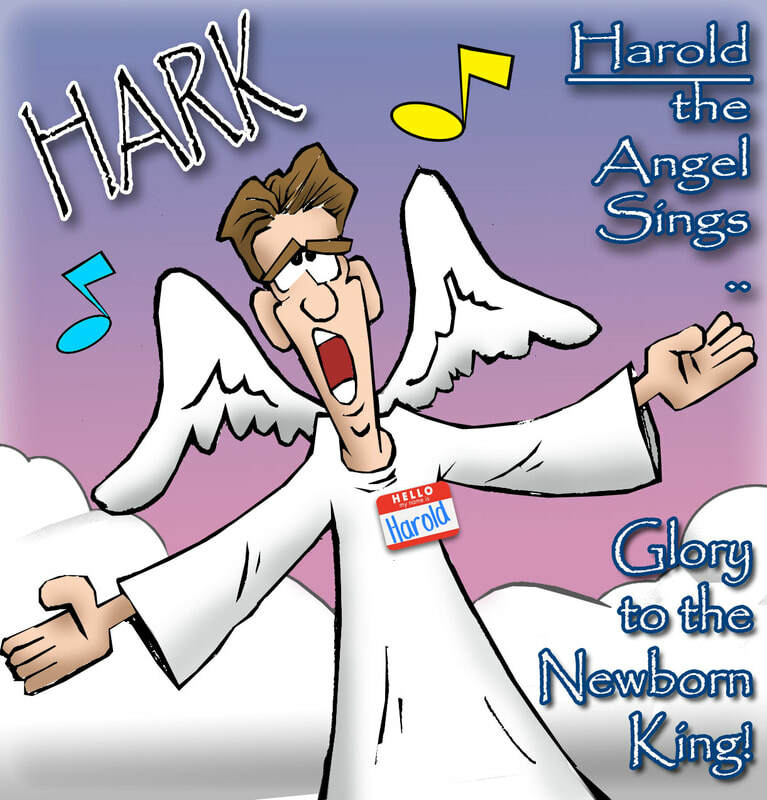 Also note after an extensive Tryout process the Realms of Glory Choir and the Angel to announce the Birth of Jesus were selected. 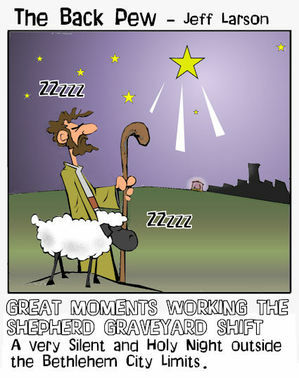 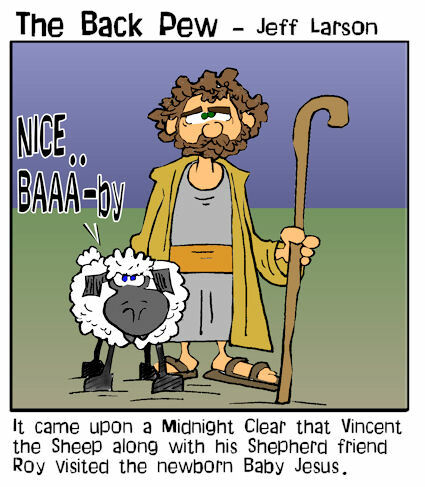 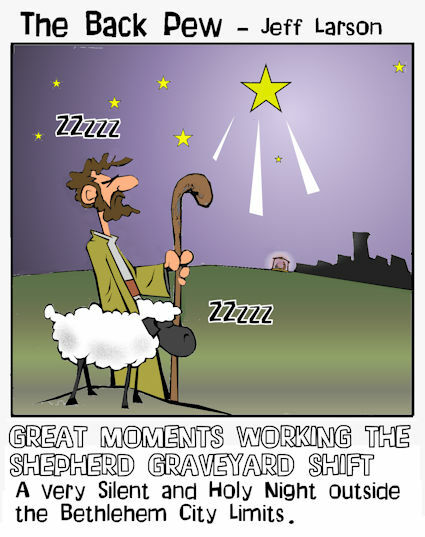 ​Even the sheep could not help but take notice of Jesus Birth... 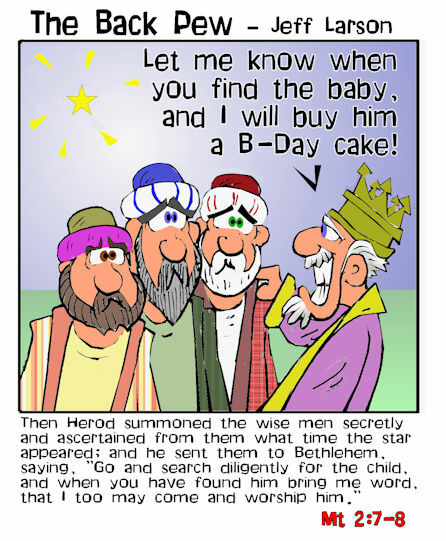 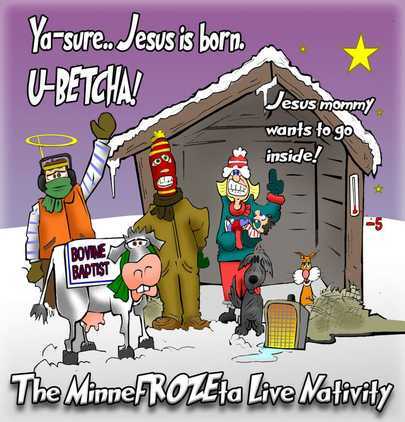 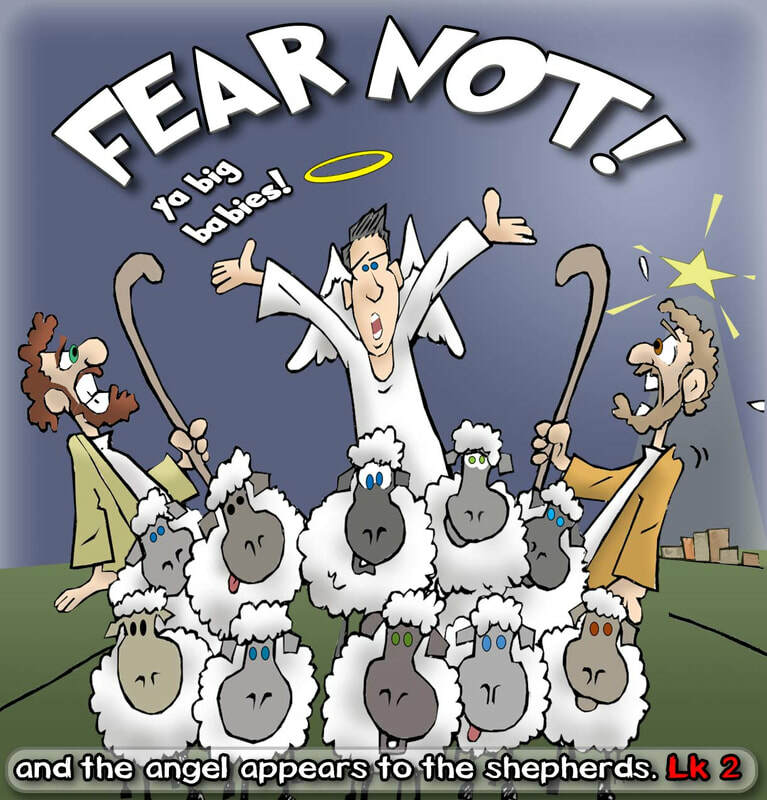 Some could be heard crying out the birth place of Jesus "BAAAAthehem", while others copped an attitude crying "BAAA-humbug!" 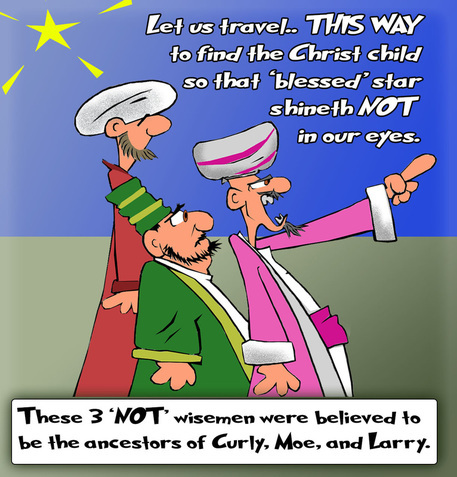 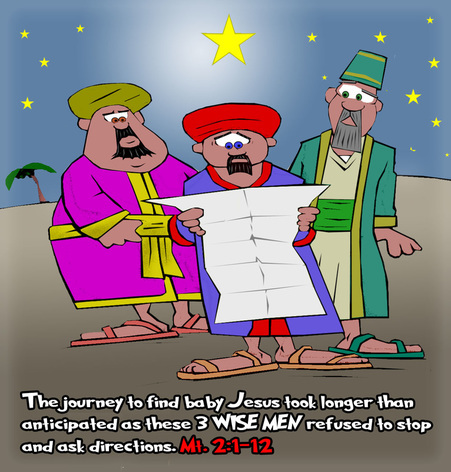 And let's not forget the Three Wise men bearing gifts and traveled so far following the stars to the baby Jesus. 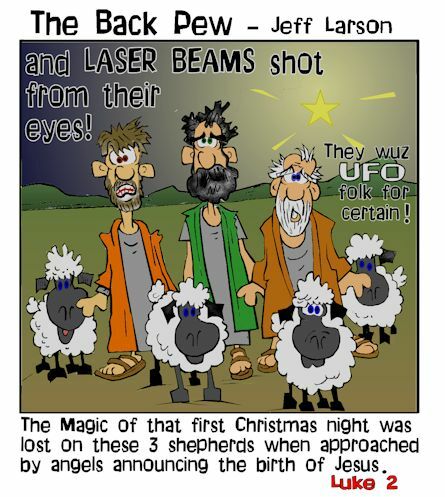 They actually were not present that first Christmas night, but what Nativity set would be complete without them. 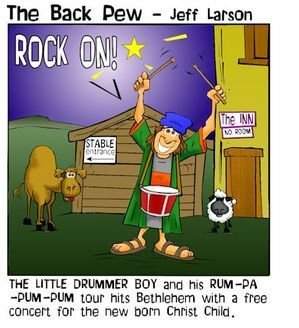 So it was a starry night, a Holy Night, in the Little Town of Bethlehem where we found Harold the Angel singing Hark, and Gloria in Excelces Deo(her home town). The Drummer Boy drummed, and for this one night a stable was the birthplace to a king. 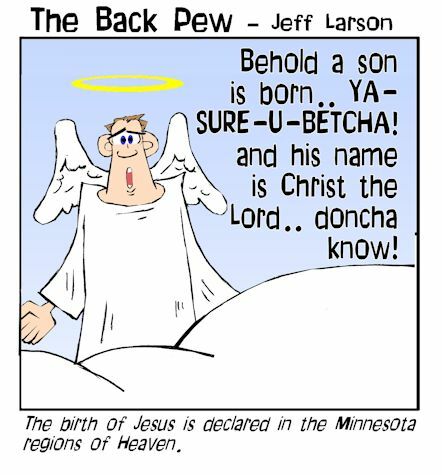 Here is where I will confess the obvious. 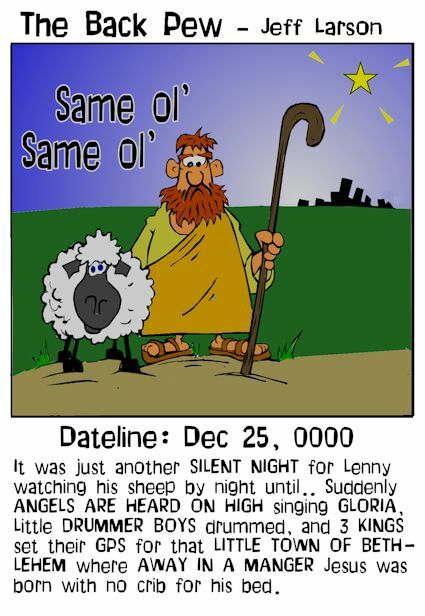 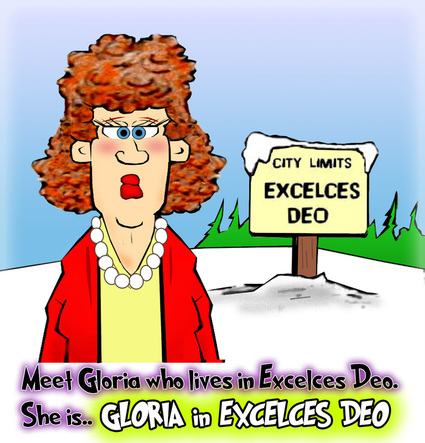 Cartoons are not the right medium to capture the true beauty and significance of that first Christmas night. 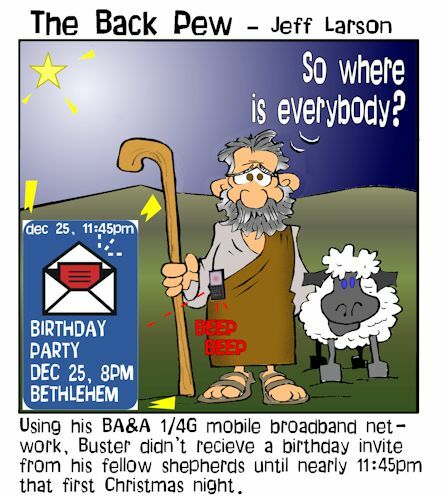 Then again, by this world's standards the birth of Jesus in a smelly barn because Joseph & Mary did not make reservations online at the Bethlehem Holiday Inn Express is simply unforgivable. 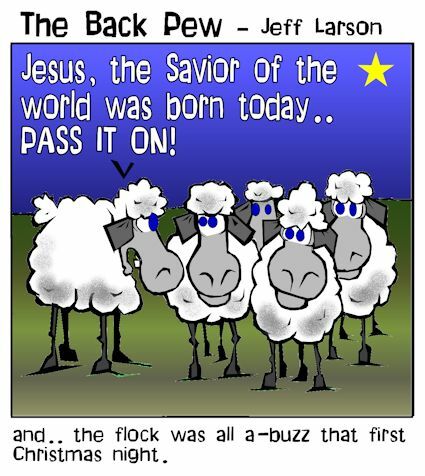 The perfection of that first Christmas Night when the son of God was born to a world that needed (and still does) a savior is not a story that any 24/7 news channels could ever grasp... but exactly the story the world needs to know.